James F. Farrell, Jr. is a partner and trial attorney at FKSFPC. Since joining the firm in 1984, he has focused his practice primarily upon the aggressive representation of physicians, hospitals, nursing homes and other health care providers in matters involving claims of medical malpractice. Mr. Farrell has also dedicated his practice to the representation of physicians, residents and nurses in matters involving the investigation and prosecution of state licensing issues involving the Department of Health and the Office of Professional Medical Conduct. 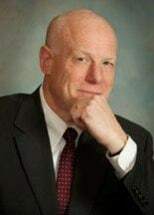 Mr. Farrell has been a lecturer at the Suffolk County Bar Association on subjects including the defense of a medical malpractice action, the direct and cross examination of expert witnesses and issues related to civil practice. He has lectured on the subject of risk management and medical malpractice at hospitals located in New York City and Long Island and has been a guest lecturer of students at Stony Brook University Hospital. He has defended individuals and companies involved in claims of general negligence, premises and products liability and tried numerous cases to verdict in the Supreme Court in New York, Kings, Queens, Nassau and Suffolk Counties.